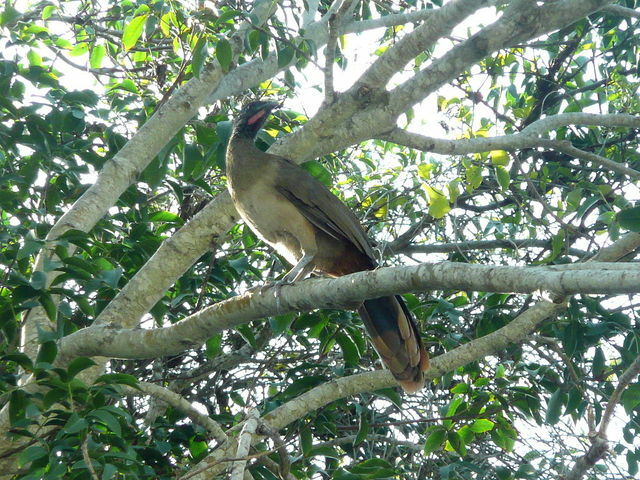 The Rufous-vented Chachalaca, is a member of an ancient group of birds of the Cracidae family, which are related to the Australasian mound builders. It inhabits northeast Colombia and northern Venezuela where it is called Guacharaca, and in Tobago where it is known as the Cocrico and is the island's national bird. It is also found on Bequia and Union Island in the Grenadines where it may have been introduced.